Wheels are turning... Weapons powering up... Black holes out of no where! We have some pretty big news to share very shortly but first you may be wondering who on earth has hijacked the Robocraft announcements section. I’m ReelBigKris, the new community manager on Robocraft. I’ve been within the games Industry for around 16 years working across retail, content creation, publishing and development. It’s an honor to be a part of the studio and I’ll do my very best to help the team hear the communities voice to improve the game further. 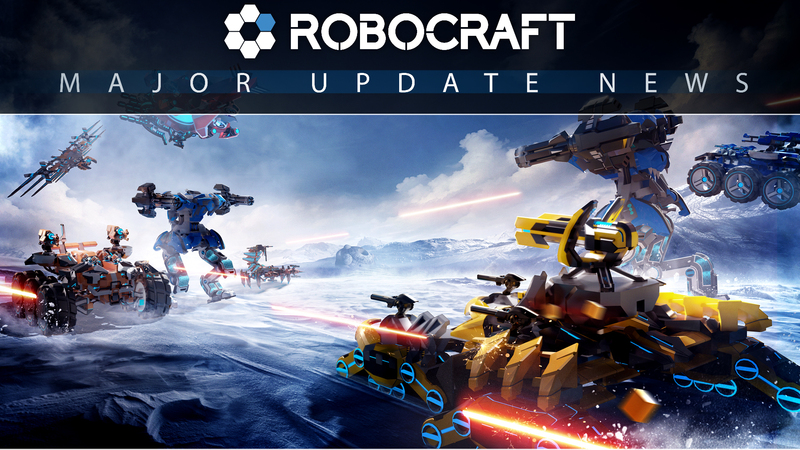 We were planning to launch these changes this week, however we are going to hold these back to release with RoboPass! A major update coming before Christmas. Do stay tuned for next week as we’ll have some more news to share. Until then... Build, Drive, Fight!